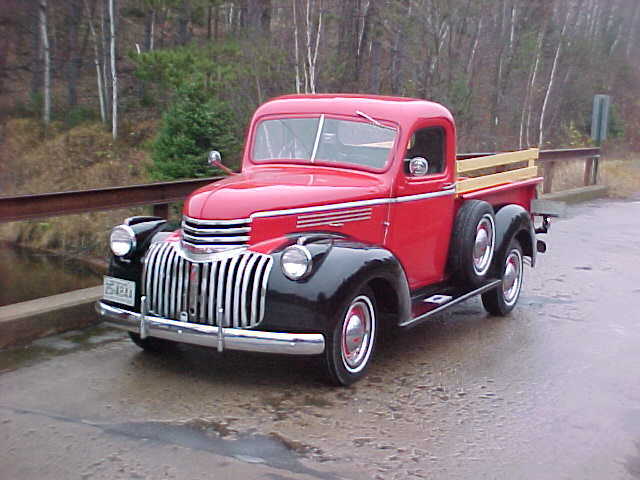 "Out in the Garage With BillyBob"
www.devestechnet.com "Helping folks with their Chevy/GMC trucks!" "Tom's 1949 Chevy Pickup Retro-Rod"
"1955 - 59 GMC Truck Site"
"Restoration of a 1955 GMC Suburban Carrier Pickup"
http://woogeroo.home.mindspring.com "Jim's Classic Automobile Website"
This company sells automotive touch-up paint in spray cans, paint pens, and touch-up bottles. They have a listing of 25,000 colors and you can order online.